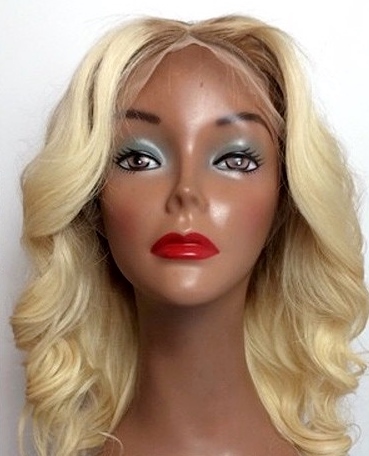 If you're already blonde or thinking of going blonde, then blonde lace wigs could be the lace wig for you. There was a time when folks thought that blonde hair belonged with those in red high-legged swimsuits who ran in slow motion across golden sandy beaches; but that time has well and truly past and now, it doesn't matter if you have access to a sandy beach or don't have a swimsuit (in any colour) you can rock golden locks. As with all hair colours there are many shades of blonde from your platinum blonde all the way through to your chestnut blonde and as long as you can find the right tone of blonde, you can wear it. If you're lighter in complexion or have pale skin then any colour blonde will suit you and a touch of honey tones will make complement you. If you are darker in complexion then for you golden blondes with tones of honey and caramel work in your favour (unless of course you're aim is to be as striking as possible - let's face it, Mary J Blige's blonde tresses are now her trademark look). Whatever your skin tone, if you just want to dip your toe into the world of blonde hair lace wigs, then go for multi-tonal blondes with highlights and lowlights. If your hair is dark, then going for dark roots in a T-colour blonde, ombre or dip-dye look can also help with the transition from darker hair to blonde hair. If you're intention is to get the look of singers and actresses then remember that standard blonde hair lace wigs have not had the pleasure of being coloured by the top colourists in the hairdressing world, but this isn't to say that you can't order a customised blonde hair lace wig, or that you can't take it to your own local salon and have it coloured to your own specifications. If you’re going to wear blonde hair then it’s better to avoid wearing a type of yellow that closely matches the tone of your blonde hair wig (unless it’s a costume - like a certain sword fighting heroine). Silver and gold jewellery is great and won't with blonde hair wigs. Accessories such as belts can be in any colour as they're far enough away from the blonde hair so that they won't clash. The majority of colours won't clash with blonde hair. If you want to down play the colour of your blonde hair lace wig then lighter colours worn on the top part of your body will do that. An easy rule to follow is that the darker the blonde hair, the more subtle the look and the lighter blonde, the more striking the look. As always, check out our wigs by face shapes guide for the lengths that suit different faces but the best thing to think about when choosing the length of your wig is to think about the shade of the blonde that will be framing your face. If it’s a darker tone of blonde (caramels, and chestnut blonde), longer lengths won’t seem overly striking (naturally, if that's what you're aiming for, then ignore this). 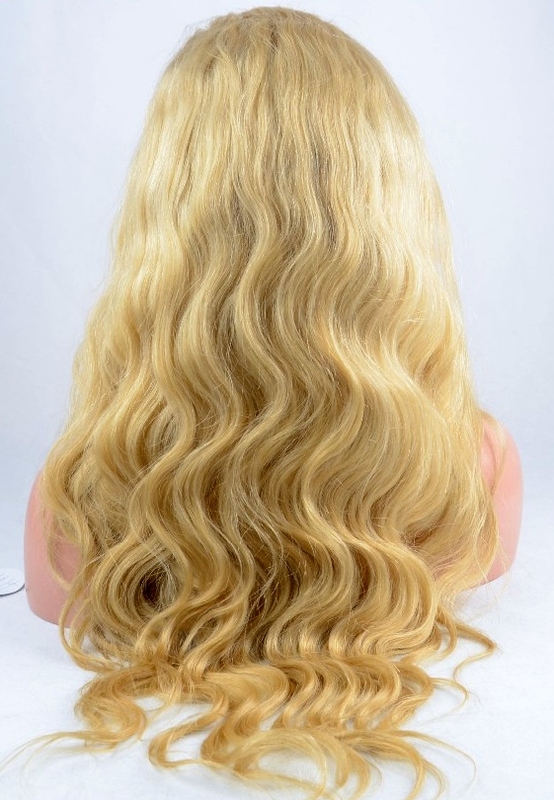 If you choose a synthetic lace wig, you can wash your wig in a mild shampoo as normal. If you have a human hair blonde wig where the hair was naturally dark and then dyed blonde, you’ll need to deep condition with a conditioner specifically for coloured hair to ensure the colour doesn’t fade. A leave-in oil like Argan oil is also a good idea to prevent the hair drying out. Hopefully the info above shows that anyone can wear blonde hair lace wigs and even if you're not ready to go platinum with your tresses, there are gentler alternatives to get you into the world of blonde hair.